Out now! Quite a few books that we've all been waiting for with bated breath! The second installment of the new series by Judi Curtin is out now as well. As we head into autumn, and back into the school year, it's great to know we can still escape into Eva's Holiday! And... while there are numerous others (that would make this post far too long and boring), I can't leave without mentioning two or three more of the wonderful, exciting books that have just been released. The Search for Wondla by Terry DiTerrlizi is available in paperback, just released today! 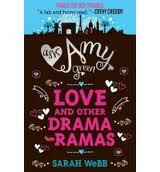 In just two days time, the new Amy Green book: Love and Other Drama-Rama's by Sarah Webb will be hitting the shelves. I know there are loads of you out there who have been anxiously awaiting this one... because you've been asking about it since last spring! I think I'm going to have to leave it there for now... but watch this space for more exciting releases.... something new almost everyday! Just a quick mention and a few covers of this exciting new adventure/mystery series by Helen Moss for 8 to 11 year olds. Moss has taken the time-honoured Enid Blyton 'Famous Five' formula and given it an extremely successful contemporary twist. Rather than just a re-hash, Moss has made this her own and given us a brilliant, straight-forward mystery series for a whole new generation of readers! Happy Anniversary To Some Children's Classics! 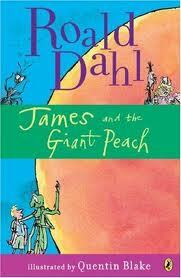 First of all, let's remember that Roald Dahl Day takes place on September 13th, and this year the focus is on James and the Giant Peach. This gem is now 50 years old! Just as delightful as it was when it first appeared, that is one well preserved Peach! Another absolute favourite of mine is The Phantom Tollbooth by Norton Juster. When it first came out, The Phantom Tollbooth had a reputation for making readers out of non-readers. The marvellous story of Miles, a boy who can't see the point of anything until he comes home to find a mysterious package containing 'one genuine turnpike tollbooth' has been delighting readers young and old for fifty years now! In October, there will be a commemorative edition released, which will include a preface by Juster, essays by various authors (including Philip Pullman and Suzanne Collins) and an essay by Maurice Sendak that was written for the books' thirty-fifth anniversary. A Wrinkle In Time by Madeline L'Engle is also turning fifty. Currently, this wonderful story of time travel has 10 million copies in print in the US. In January, Macmillan Children's Publishing will be releasing a fiftieth anniversary commemorative edition which will include "include an introduction by Katherine Paterson; L'Engle's Newbery acceptance speech; never-before-published photos; and an afterword by L'Engle's granddaughter, Charlotte Jones Voiklis." 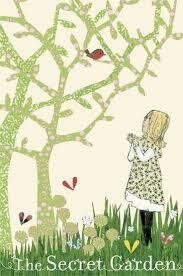 And... just out now... this absolutely gorgeous centenary edition of The Secret Garden by Frances Hodgson Burnett. One hundred years of one of the most unique books of all time! Happy Anniversary to these, some of my favourite books ever... and quite a few more... Here's an article from PublishersWeekly to tell you more about them. 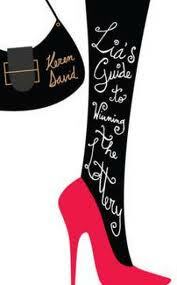 and if you haven't read the book, yet, you're in for a treat beyond your wildest dreams. 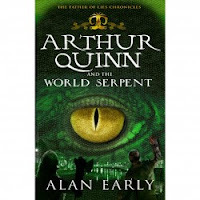 Arthur Quinn and the World Serpent is a brilliant new book, just out now, by Alan Early, published by Mercier Press. And, having read the proof, I have been waiting for this book..... it is brilliant! Fast-paced, thrilling; it begins the Father of Lies Chronicles in which something wicked has awoken under the streets of Dublin. 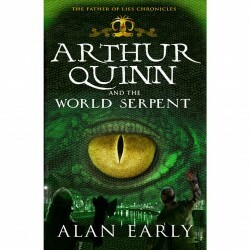 And it's just Arthur Quinn's luck, that just when he moves to the city, it notices him. Combining the present day with the ancient Norse gods.... this book is just wonderful! The trailer is a small teaser to wet your appetite, and you'll find more trailers associated with it, if you're wanting a bit more. But seriously, run out and get this book NOW! You won't regret it. 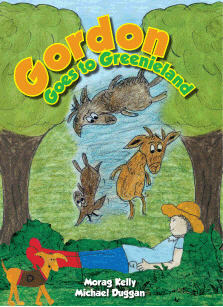 A quick mention for this charming book... Gordon Goes To Greenieland by Morag Kelly. Morag will be reading from her new 'Gordon...' story at Charlie Byrnes Bookshop (The Cornstore, Galway) on Saturday, August 20 at 11am. For those of you who don't know yet... Gordon Goes To Greenieland is a 100% Irish-made book (and website!). Gordon Goes To Greenieland combines a sensitive story about Gordon and his beloved Grandad, who has now reached the autumn of his life, and an important ecological message, as Gordon wants to keep Grandad's garden growing as a tribute to him. All of this without overwhelming or beating either message home. 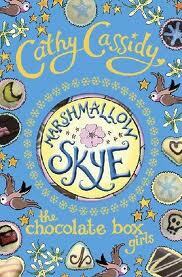 Morag's reading will be followed by Charlie Byrnes regular storytime on Saturday mornings. The latest article from the Guardian Children's Fiction Prize Book Club involves commentary on the latest book from one of my favourite authors, Frances Hardinge. Twilight Robbery follows the further adventures of Mosca Mye and Eponymous Clent as the travel (well... run for their freedom and lives) through the Fractured Realm. I've left my (brief) thoughts on both Twilight Robbery and Fly By Night to be found on the 'What ARE You Reading' page of this blog. But here's the link to the Guardian article.. there's lots of ways for you to get involved with the Guardian Children's Fiction Prize Club, so check it out! And, Frances Hardinge is asking you to review her book! (second link). What I would say is, you simply have to read both of these books. They are adventure stories, (alternative) historical fiction, fantasy... books involving issues such as friendship, loyalty, belonging... with a bit of politics and revolution involved. And basically, especially because they are so well-written with brilliantly described characters and a beautifully imagined world, they are cracking reads. Fly By Night remains one of my all-time favourites.... what do you think? 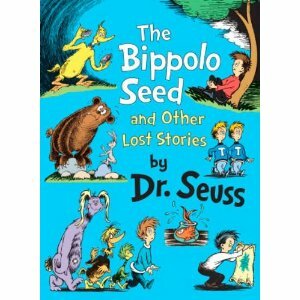 A collection of lost Dr. Seuss stories has been found and will be published and out in the shops on the 29th September. The Bippolo Seed and other lost stories are a collection of stories originally published in Redbook magazine in 1950 ad 1951. Charles D. Cohen, a noted Seussian scholar and collected, relocated the stories and the new book is his concept. He also wrote an introduction, correcting many of the misconceived notions that have surrounded the worlds created by Dr. Seuss. Any huge fan of the Cat In The Hat, the Grinch and (my personal favourite) The Lorax, will be thrilled to add these stories to their own collections at long last.... and yet another generation of young children can grow up with even more Seuss than there was before! If you check out the 'Our Young Reader's Recommend' page, you'll find eight reviews from the young reviewers from Dubray Books, Galway. These kids desire a big round of applause for their tireless interest and evaluation of new books for people their age. Their enthusiasm is inspiring. And their reviews are always spot on. If you really want to know which books children are going to love, ask a kid. Bath Kid's Lit Fest Blog! Here's the link for all the latest news in the run up to the Bath Children's Literature Festival. The Bath Kid's Lit Fest Blog keeps you up to date, with entries from loads of your favourite children's author's, and what's going on in their lives and books as they prepare to make their way to the festival, which takes place 23rd September to the 2nd of October! It really is a can't miss event! 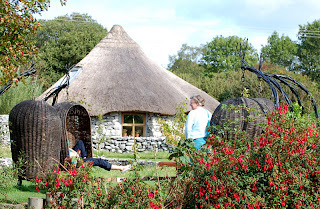 For those of you in the Galway area, there's just enough time to get involved in a summer camp at Brigit's Garden. These summer camps offer the perfect opportunity to get the kids out of the house and into the outdoors for an absolutely marvellous nature experience. With summer winding down, if the kids are at loose ends with nothing to do, I can whole-heartedly recommend these. After having this experience, every child who has ever reported back to me has had nothing but glowing reports and renewed enthusiasm for nature and the environment , along with a greater hunger for knowledge and learning about the world we live in. And if you aren't in time to get into one of the summer camps, don't forget about Brigit's Garden. It's brilliant for the whole family all year long and a great resource, right on our doorstep. and was passed on to me by a colleague who well understands my frustrations, along with the frustrations of many parents, teachers, librarians... the world in general, when it comes to children and age appropriate books. It makes some very fine points and takes a very practical view of the dilemma. As we've all heard 'but everybody's reading it', I thought I'd pass the link on to you, along with a couple of quotes. "Today, parents of children in grades 3-5 complain of being harassed by their children to allow them to read books that were written for teens. 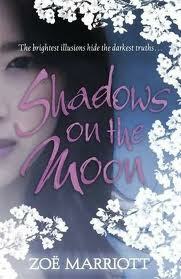 Titles like Twilight, Hunger Games, and the later Harry Potter novels. These books were written for young adults who have the age and experiences to understand more mature themes and relationships and to process them accordingly. They were never intended for elementary school children." "Most parents know very little about teen books and acquiesce to the constant whiny entreaties of their child, agreeing to let them read the book. Other parents feel these books are a bit too mature for their child, but think if "everyone is reading it," it must be OK. 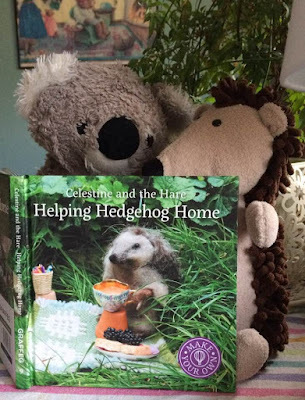 There are also parents who stand their ground, but the child may well borrow a friend's copy and read it in secret, or download it onto an electronic device. After all, giving in to peer pressure, and finding a way around parents to do it, is nothing new for kids." And this quote, which provides an opportunity, not only to solve the reading dilemma, but creates a stronger parent/child bond. "If your child is determined to read a "hot" title that deals with more mature themes, you might want to strike a bargain and read it together. You could share one book reading it together, or form a book club where you each have a copy and read a portion, then talk about it." As we approach the end of summer, I've been reorganising the Young Readers Recommend file at work. All of these guys do a fantastic job reading and reviewing books and I consider their input invaluable. I've always thought, if you want to know which children's books are actually really great reads, and brilliant for children...if you want a real opinion, ask a child. As I said, I've been going through the files, and what I've found (sadly) is that the vast majority of the young reviewers are, well, growing up. So, it's time for a new group of reviewers to step in. 1) Contact Mary (that's me!) 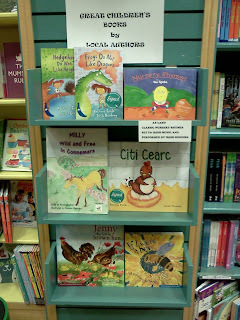 at Dubray Books, 4 Shop Street in Galway. Chose a book from the stack you are shown to review (myself or one of my colleagues will be happy to show you the books). We will make note of the book on your file. Take the book home and give it a good read. Write a brief review. Include a bit of the storyline (without giving away any spoilers!) and not simply whether you liked the book or not, but why... what was good about it, what did you think needed improvement, etc. You can rate the book in marks out of 10, or by giving it however many stars you think it deserves. Th review needn't be long, about a paragraph. And don't be afraid to say that you didn't like a book you've reviewed... that information is just as valuable as singing it's praises. You can take up to a month. Then return the book, along with the review..... and chose another one! I try to print up the 'Our Young Readers Recommend' newsletter every month or (sometimes) two, but this depends on how many reviews I have to print. So drop in any time and join the team! And all you parents, teachers and librarians out there, pass the word around to those children you think would be interested. This is the kids opportunity to have their say about what is good and not good in the world of children's literature! Yes, that's right! On the 14th of August, Children's Books Ireland have gotten together with Airfield (with support from the Dun Laoghaire-Rathdown County Council's Arts Office) to create a brilliant event for young readers to really get excited about. 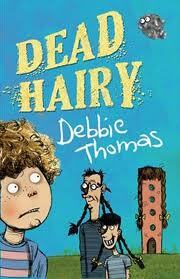 Debby Thomas (Dead Hairy), Chris Judge (The Lonely Beast), author/illustrator Adrienne Geoghegan, a load of events and activities, storytelling... much, much more... will all be present to give us bookworms an unforgettable day! 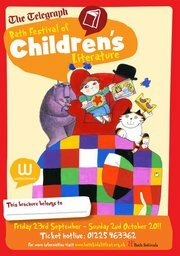 The Bath Festival of Children's Literature will run from September 24 through to October 2nd this year. This is one of the most incredible celebrations of children's literature anywhere in the world. If you can make a jaunt over to Bath (still, in my humble opinion, the most beautiful city in the world!) to enjoy the sights and the BathKidsLitFest, well, you've simply got to go! 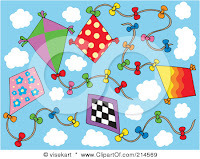 Don't forget.... Kite Making Competition! I want to take a quick moment to remind everyone about Art and Hobby's (Corbett Court/Eyre Square Shopping Centre) Kite Making competition! The closing date is 28th August. Art and Hobby wants to see to it that the winner receive their prize before the start of school. The kite can be made of any materials (or combination of materials). It doesn't need to be able to fly, and can be any design you want! Entries are limited to children up to age 13 years. The kites will be displayed in the shop. You can talk to the good people in Art and Hobby, Corbett Court for any clarification of details. And if you're on Facebook, check out Art and Hobby's page! Hello and welcome to August. I know we're all frantically trying to make the most of this last month of summer. Getting away while we can... making sure everybody has what they need for the start of school in September, cramming as much holiday in to see us through the upcoming autumn. But I thought I'd start by giving you all a heads up on the upcoming Mountains to Sea Festival, which begins September 1st. The Mountains to Sea Festival is a fantastic opportunity for us to get involved in all the current literary treats available. And, of course the young people among us are never left out. This year's programme for the family is fantastic! There's the Picture Book Picnic and an Audience with Darren Shan, that master of horror, himself. The Monster Book Lunch will return with Cathy Cassidy, the reigning Queen of Teen, Judi Curtin, Sarah Webb, Conor Kostick, John Newman... and lots more authors. There's the Monster Book Quiz. 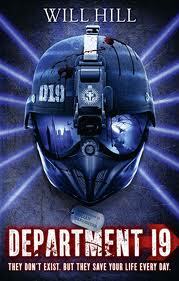 And Mr. Skulduggery himself, the amazing and amusing Derek Landy will be reading and signing books. 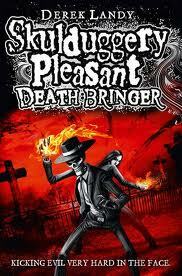 (The new Skulduggery Pleasant installment is out on 1st September!) There's far too much for me to list here. So here's the link. Check it out for yourselves, and be sure to book your tickets NOW!